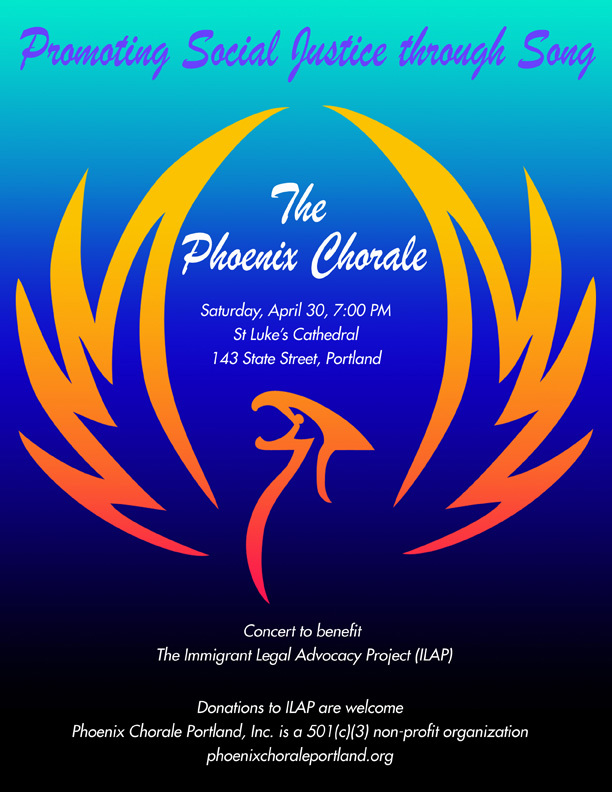 Each year, Phoenix Chorale’s Annual Benefit Concert is performed to financially support a partner organization that works to enhance Maine’s environment and its population through innovative social programs. 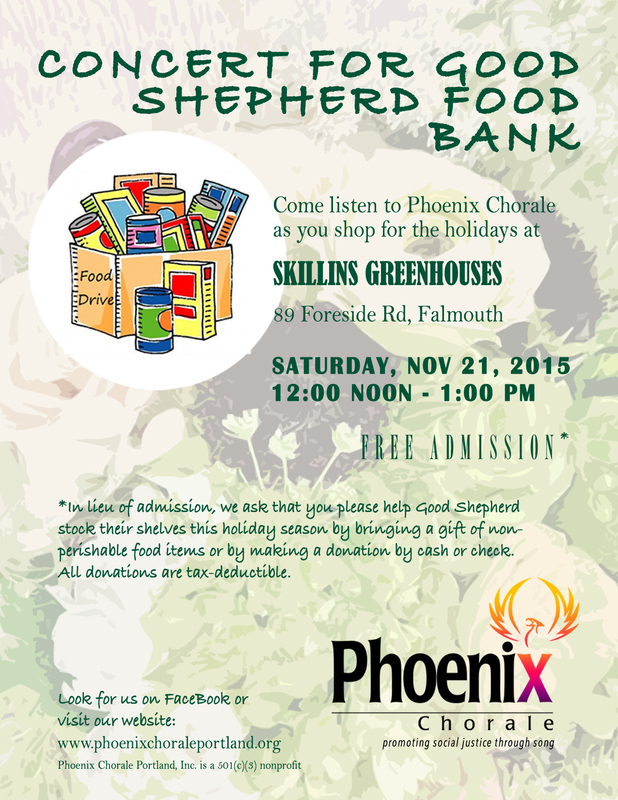 100% of concert proceeds are donated to the partner organization. Our past social justice partners have been Preble Street Resource Center and the Immigrant Legal Advocacy Project (ILAP). Racial justice in Maine reflects the existing diversity of our state, which includes new immigrants and refugees, tribal communities, and people of color who have been residents of the United States for generations. The intersection of race with gender identities and economic status is also a fundamental characteristic of racial justice. We are honored to be partnering with In Her Presence, a local organization that offers programs to embrace, empower, and enrich the lives of immigrant women from Africa. In Her Presence provides language assistance, movement classes, and professional advice to help members create meaningful lives and find employment in the US. The organization is dedicated to helping immigrant women and girls to cope with stress and feel confident in this new country, while balancing the unique and powerful cultural identity of each woman. Using song as a means of building community and supporting fairness and diversity, we have invited singers from our partner organization to join us in rehearsals, where we share songs and culture, and sing together. 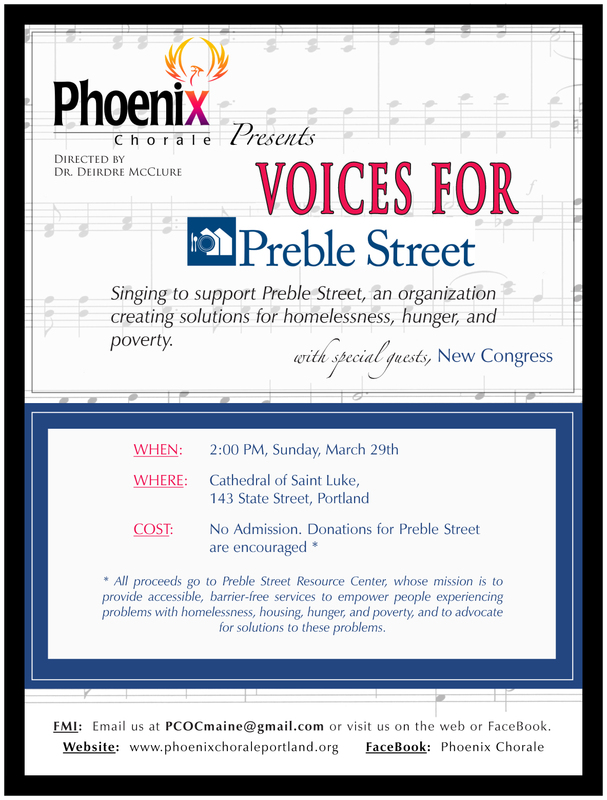 Our spring concert will feature songs from African and Western cultures, and will include performances by both Phoenix Chorale and singers from In Her Presence.